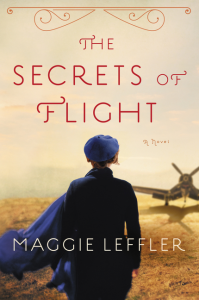 The Secrets of Flight alternated viewpoints between Mary, an 87-year-old widow and Elyse, a fifteen-year-old girl. Except Mary hadn't been 'Mary' her whole life. She had been born 'Miriam Lichtenstein'. Her husband, Thomas (aka Solomon) had been trying to get into medical school for sometime, but kept being turned down. It seems the 'quota' for Jews getting into medical school was filled. I know. It's something that seems foreign to us these days, someone capable being denied a job or schooling on the basis of his religion. But back then, it was practically an institution. So what's a medical-school hopeful to do? Change his name to Thomas Browning and check the little box that said 'Christian'. Both Thomas and Mary's families wrote them off for this ultimate betrayal. It reminded me of the scene in Fiddler on the Roof, when Tevye is trying to reconcile the fact that his daughter, Chava, has married a Christian. He finds this out when he is notified that a pogrom will happen in their town, and someone thought it might be spared because of Chava's marriage. From that point on, she is 'dead' to him. Of course, no one's life is drama-free, even in modern times. Elyse's parents are getting a divorce, and her maternal Grandmother (who lives in Florida) is dying of cancer. And that's over and above the normal teenage angst-y sort of events. So Elyse and Mary meet each other in a writing group. All of the other members are retirees. Mary decides it's time to write her memoirs of her days as a Women's Air Corps pilot during WWII, and asks Elyse to type it up for her. The further into the story they delve, the closer the bond between the two generations becomes. Mary buys a computer for her apartment for Elyse to use, since she is doing this project on the sly from her mother. Later, Mary pays for a first-class ticket for Elyse to fly to Florida and see her dying Grandmother. The look back in time was fascinating. The prejudices that people held were many and varied. Townies looked suspiciously on women pilots because they dressed in trousers. (Egad!) Women were supposed to stay and tend the home, not 'take jobs away from men'. The quotas Thomas faced seem miniscule to what the Jews in Europe faced at the time, but the root prejudice was the same. Mary had a couple of close calls with aircraft while she was in training, and rumors circulated that some men sabotaged the planes (sugar in the fuel tank, that sort of thing) in order to cause accidents that would shut down the training program for women. 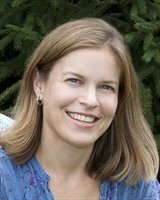 If I seem to get caught up in the story, it is because Ms. Leffler's writing allows me to do so. I did not just read a book, I was immersed in it. I was that proverbial fly on the wall that we'd all like to be sometimes...living the story along with the characters. Reading The Secrets of Flight was a pleasure and a most memorable experience. Add this one to your library. Click on the button to go to the tour page, where you will find links to many more reviews. 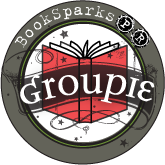 You can also find out how to apply to become a blog host for future book tours! It's really fascinating to look back on history and see what was "normal" back then. I wonder sometimes what, in 30-40 years, we will look back on that seems so crazy but was so normal for the time. Wow, now THAT is a wonderful thing - completely losing myself in a book is one my most loved experiences.